NAMM 2011 PRESS RELEASE: Steven Slate will be showing off the next generation of his virtual drum instrument at the 2011 NAMM Show Booth 6921. 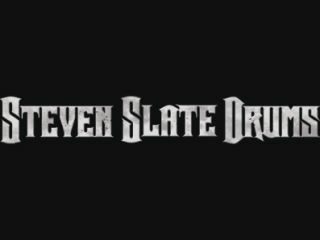 STEVEN SLATE DRUMS 4.0 adds many new drum kits and features, and does so in a new custom built Slate Digital drum sampler (RTAS, VST, AU). Steven Slate's drum sounds have become a staple in the recording industry, being used in some of the top albums of the 2000's by artists such as Train, Taylor Swift, and Miley Cyrus. STEVEN SLATE DRUMS 4.0, adds to this legacy with a ton of new kits and features for expansion into different generes and additional control over sounds and samples. New in SSD 4.0 samples are a series of kits known as the DELUXE kits. These new kits offer an extreme amount of detail and are unprocessed, giving the engineer more control of their final sound. Slate also offers a finely recorded jazz drumkit, which was also sampled with brushes. The new SSD4.0 cymbal pack utilizes the highest quality, hand-picked, custom, Turkish cymbals from boutique cymbal manufacturer Soultone Cymbals. Lastly, Slate teamed up with pop producer Griffin Boice to produce five new kits in the electronic, dance, and hip hop genre. All of these kits are now provided within a new drum sampler interface built from the ground up by Slate Digital DSP engineers. The new interface includes a midi groove processor with thousands of grooves, as well as support for many brands of electronic drumkits. STEVEN SLATE DRUMS 4.0 aims to provide the engineer with limitless options and greater control for their virtual drumming needs.